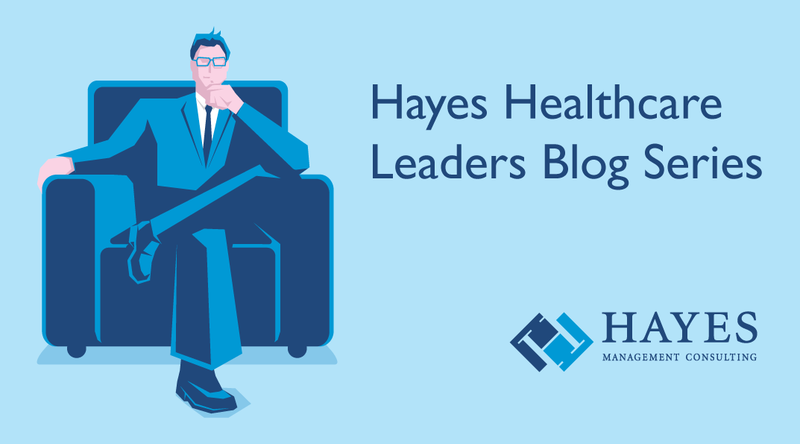 In today's challenging financial environment - plagued by shrinking revenue, narrowing margins and tightening regulatory constraints - many healthcare leaders are stepping back to take a more holistic view of their organization’s revenue stream. They understand that the traditional, silo'ed approach to revenue cycle and compliance - in which the two functions operate independently from one another - is not going to help them achieve their goal of optimizing their financial health. These leaders are beginning to see the value of bringing these disparate groups together to effectively address their top- and bottom-line issues. For many, that means implementing a comprehensive revenue integrity program that can serve as the “backbone” supporting such an effort. The dictionary defines a “backbone” as “the chief support of a system or organization.” A well-developed revenue integrity program can be the “chief support” that links together revenue cycle and compliance, resulting in a more robust revenue stream, decreased risk of costly non-compliance, and enhanced bottom-line performance. Here are five benefits that can be achieved by instituting a common revenue integrity backbone in your organization. Each year, the American College of Healthcare Executives surveys healthcare industry CEO's, CFO’s, COO's, Revenue Cycle Managers and Compliance Leaders to name their top concerns. For the past 12 years, financial concerns have topped the list. That should not come as a surprise considering the turbulent environment healthcare organizations face today. Pressure on top and bottom lines, transition to value-based care, growth of consumerism in the industry and tightened oversight by outside entities are forcing healthcare organizations to change the way they operate. Organizations have been focusing on revenue cycle management for years, but forward thinking leaders are reexamining this siloed approach. They are coming to recognize that ensuring revenue integrity requires considering the entire revenue cycle – front end, mid-cycle, back office – to more appropriately address the challenges they face today. But where do you start? 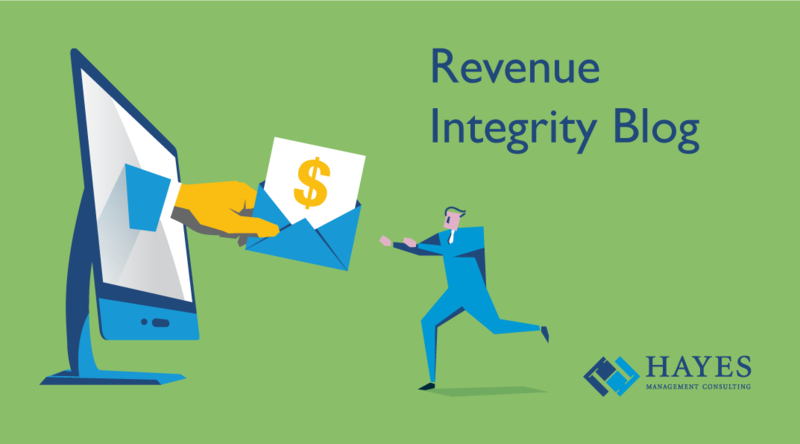 Here is a six-step process for establishing an effective revenue integrity program. Google the term “revenue integrity” and you get 790,000 results. Refining it to “revenue integrity in healthcare” narrows it down to 380,000 results. That still doesn’t help much. The fact is there isn’t one, universally accepted definition of the term. One thing that isn’t in question is the importance of revenue integrity to healthcare organizations in the current difficult environment. Financial challenges headed the list of hospital leaders’ top concerns in 2016, according to the American College of Healthcare Executives annual survey. It was the twelfth consecutive year CEO’s identified finance issues as their most pressing worry. That should come as no surprise in a time when hospitals and physician practices are facing shrinking top and bottom lines. The crushing weight of financial worries continues to increase because of the many challenges organizations face in the uncertain healthcare landscape. New value-based care financial models, increased payment responsibility for patients, more intense regulations and the auditing that goes with it and continued merger and acquisition activity are squeezing the resources of healthcare organizations and jeopardizing their overall financial health. We know revenue integrity programs are effective, but there are still multiple definitions of what it is. Here are how some healthcare leaders view revenue integrity. A recent article in the HealthIT Analytics newsletter noted that most healthcare organizations are looking to launch Big Data analytics projects to “improve clinical quality and reduce inefficiencies.” That’s only natural considering the buzz surrounding the benefits of Big Data analytics. However, the article goes on to say that many healthcare organizations face major challenges in ramping up their analytics program - specifically lack of qualified talent, issues with system interoperability and the basic question of where to begin the process. There’s no doubt that Big Data analytics initiatives have proven valuable in uncovering actionable information in nearly every industry. That can also happen in healthcare, but hospitals and physician groups should understand that massive Big Data projects are not the only route to gaining the critical knowledge you need to improve the operation of your organization. You can also obtain significant insights from “little data” information that is readily available if you use the right tool. Nearly eight out of ten healthcare internal auditors in a recent survey by PwC believe risks are increasing. As a result, almost nine out of ten say they have gone through or will soon be involved in significant business transformation. The conclusion is that these increased risks and transformative changes in the healthcare industry will require internal auditing to change as well. Unfortunately, few healthcare organizations are able to add resources during a time of shrinking revenue and tightening margins. To meet this increased demand, therefore, those of us responsible for the internal compliance program functions must find ways to be more efficient with the resources we do have. 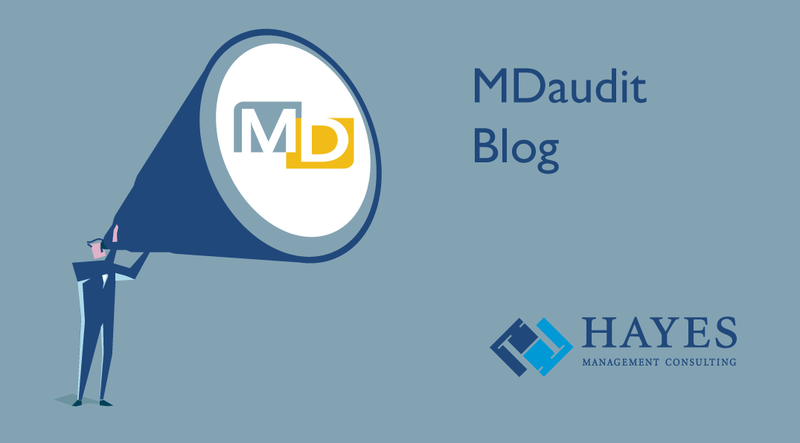 Doing more with less has become an inevitable mantra for compliance auditing groups in healthcare organizations striving to minimize overall risk. The concepts of productivity and efficiency are often viewed negatively – as simply buzzwords to wring more output from overworked staff. That doesn’t have to be the case. A huge part of our responsibility as leaders is to work cooperatively with our teams to improve the amount of work being performed by optimizing their skills, our processes, and the technology under our control. 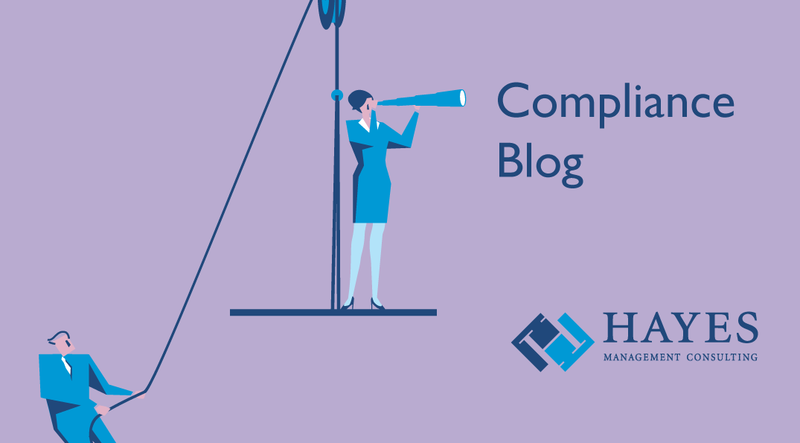 Here are five key steps you can take to improve the productivity and efficiency of your compliance audit team. The first six years of my career, I worked for two providers in a small privately-owned family practice in the southwest. My responsibilities included rooming patients, checking vital signs, updating medical information in patient charts, and poking countless patients with needles. Early on I learned how to build a rapport and more importantly, build trust with people of all ages and personalities including the two temperamental doctors who yelled and threw charts. Little did I know the skills I was developing over those six years would teach me how to handle many difficult situations and people throughout my career. Twenty-six years later I am still in the medical field and have learned just how vital it is to the success of an organization to have a positive working relationship with the providers, even the difficult ones. I feel the first step to do this is training the physicians and mid-level providers on proper medical record documentation. The goal is not to turn the providers into coders, but rather to give them the information and tools they need to be able to document their services accurately and thoroughly. Across all specialties, we frequently identify common documentation deficiencies. Physicians and other providers are often unaware of which data elements must be separately documented and are critical for proper code assignment. 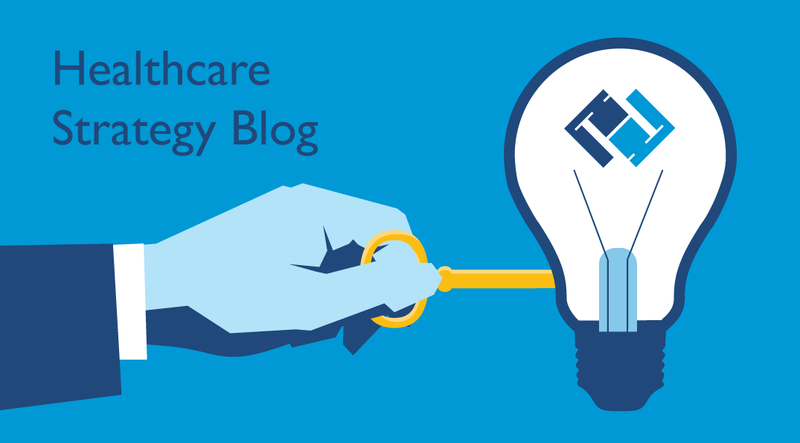 Add to this the inherent complexity of E&M coding guidelines that make it difficult for a busy physician or mid-level provider to select the correct code from an often densely populated charge ticket or EHR. Thus, it has become necessary for people like me, a coder and clinical documentation specialist, to work with these providers to help them understand the do’s and don'ts in the world of clinical documentation and coding. Over the past several years I have been training and conducting provider education on best practices for clinical documentation and coding and have come up with seven tips for communicating with physicians and mid-level providers. Most fear it, others embrace it…Audits! Success has never felt so good. We have successfully met and surpassed the national ICD-10 implementation from October 1, 2015. If you were like most organizations, you were ready a year in advance. Others, however, were relieved when CMS postponed the original go-live date of October, 2014 to a year later. Some physicians have been very vocal about the challenges involved in learning a new coding system, and we continue to see growing pains as the new ICD-10 codes are implemented. With reimbursements in full swing, how do you ensure your organization is successfully and efficiently implementing all these changes? One way you can ensure this is by creating, implementing and optimizing an official audit process.